French sowers of intelligent, distinctive and airless Black Metal, AOSOTH, revealed details of their forthcoming full-length album out on Agonia Records. The release entitled IV:Arrow In Heart will make its worldwide debut on April 16. More details can be found below. The new album is a natural improvement over bands previews release, entitled III, which already was “a major step forward for Aosoth in creating their own distinct sound” (Sputnik Music). 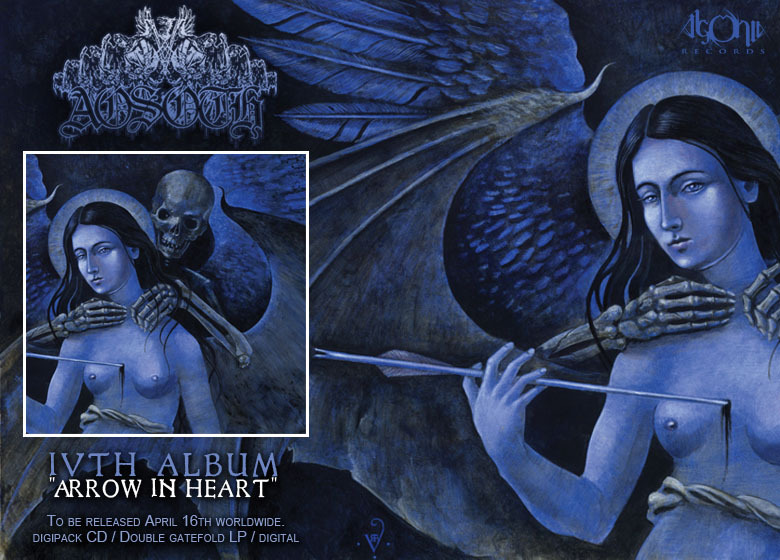 When the album hits stores, a re-release of AOSOTH’s II and III albums will be available for the first time on vinyl. This entry was posted in METAL and tagged Agonia Records, Album, Aosoth, Aviation, Black Metal, Compact Disc, Entertainment, Facebook, France, gaming, Music, transportation, United States, videogames. Bookmark the permalink.